A must have for the cold weather. 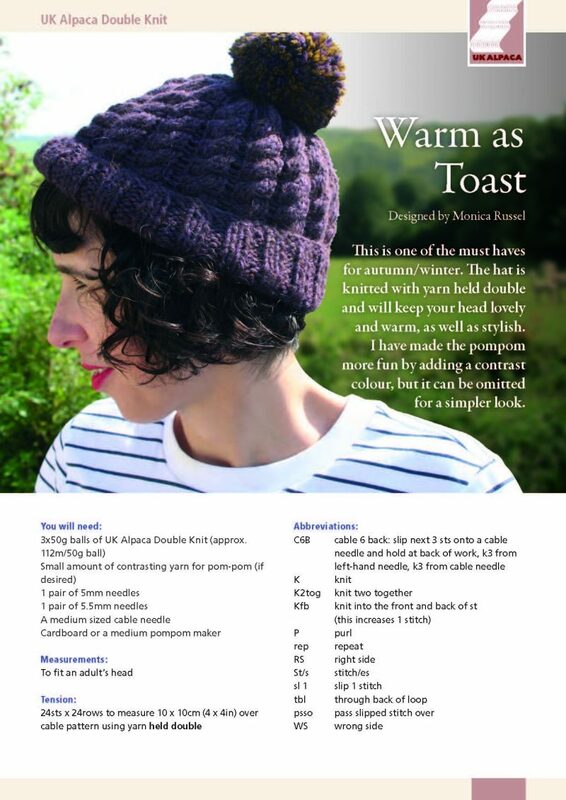 This stylish hat is knitted with the yarn held double and will keep your head lovely and warm. 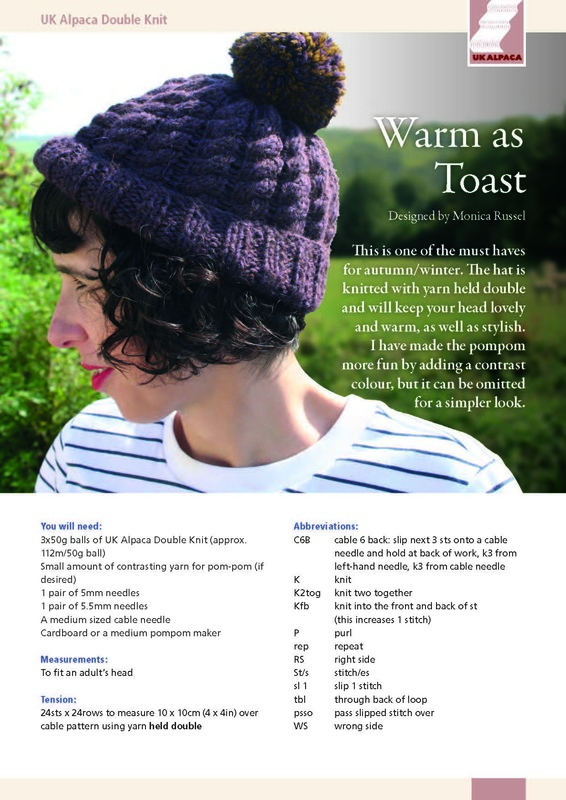 A small amount of contrasting yarn for pompom, if desired.